Just because the season is coming to a close doesn’t mean it’s too late to try something new. Make sure that your kids have the energy before a practice or game with a proper meal full of the right kind of nutritious fuel. Get everyone in the kitchen and help teach the basics of cooking. It may become your family’s new favourite activity to do together. HelloFresh brings healthy, easy-to-make meals to the kitchens of busy hockey families that come with step-by-step instructions. Knowing what you'll be making and how long it will take is information valuable to anybody as busy as a hockey parent by creating stress-free dinners for the week. The ground beef is an excellent source of protein, a building block of bones, muscles and skin. The vegetables are low in fat and calories. The combination of the two main components together gives players a filling, nutritional meal that translates to energy when on the ice. This dish is perfectly portable and needs minimal utensils, perfect for carrying in a thermos and staying warm in the rink. 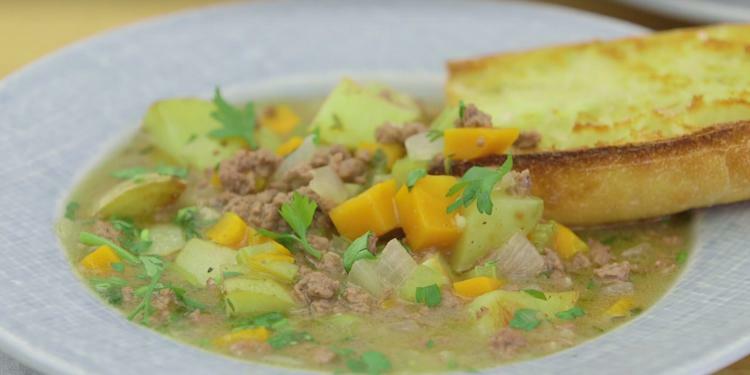 With just 30 minutes of cook time and six easy steps to enjoy the Quick Irish Stew, this is a quick recipe that hockey families can enjoy on the go without much change to the everyday schedule. Preheat the oven to 450°F (to roast potatoes and toast the baguette). Start prep when oven comes up to temp! The longer this stew simmers, the more flavour develops. If you've got time, let the stew simmer on low heat for a few extra minutes! Wash and dry all produce. * Cut the potatoes into quarters. Mince or grate the garlic. Strip 1 tbsp thyme leaves off the stems. Roughly chop the parsley. On a parchment-lined baking sheet, toss the potatoes with 2 tbsp oil. Season with salt and pepper. Roast in the middle of the oven, until the potatoes are golden-brown, 25-28 min. Heat a large non-stick pan over medium-high heat. When the pan is hot, add 1 tbsp oil, then the beef. Cook, breaking up the beef into smaller pieces, until no pink remains, 4-5 min. (TIP: Cook to a minimum internal temp. of 71°C/160°F. **) Season with salt and pepper. Transfer the beef to a large bowl. Set aside. Add 2 tbsp butter to the same pan, then mirepoix, thyme and half the garlic. Cook, stirring occasionally, until the mirepoix softens slightly, 3-4 min. Every week, the HelloFresh chefs create amazing recipes for you with photos of every step. Follow along and start cooking balanced meals at home. Return the beef and any juices to the pan. Sprinkle over the flour. Cook, stirring, until the flour coats the veggies and beef, 1-2 min. Add the broth concentrates, vinegar, soy sauce and 3 cups water. Season with salt and pepper. Bring to a boil over high heat. Cook until sauce thickens and veggies are cooked through, 10-12 min. Add the roasted potatoes to the stew. Stir to combine. Divide the stew between bowls. Sprinkle the parsley over the stew and garlic toast. Serve stew with the garlic toast. James is the Lead Recipe Developer at HelloFresh Canada, the meal kit service dedicated to making cooking fun, easy and convenient. Fall into a new dinner routine this season and enjoy the delicious victory of a home-cooked meal with HelloFresh! 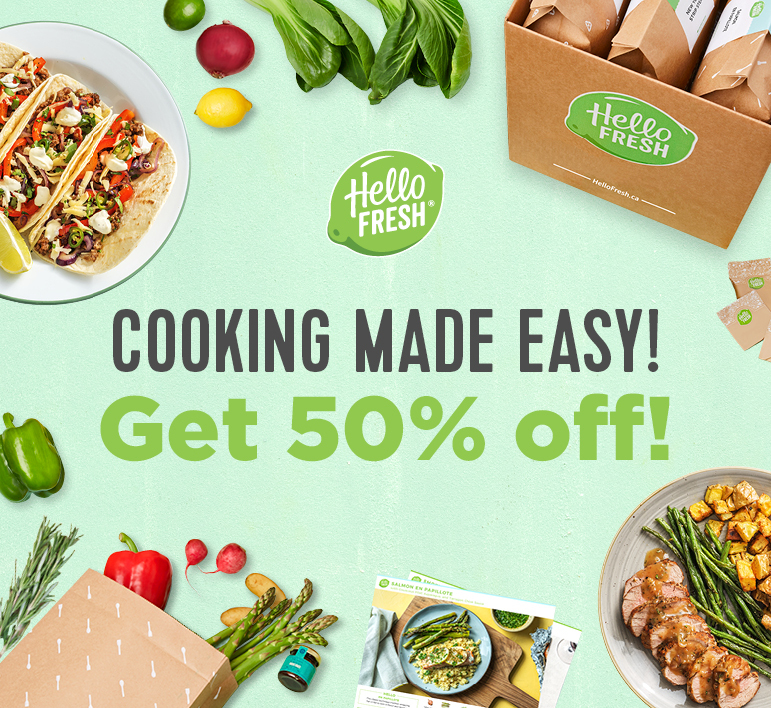 Visit hellofresh.ca/omha and use code OMHA to get 50% off your first box!